Tenuci is about all that is beautiful about Africa's vibrant culture, tradition and fashion. We specialize in importing African fabrics from over 11 countries of the world where the best quality African fabrics are made. We offer both retail and wholesale of various of African prints. Our respect and love for the African heritage drives all of us at Tenuci as we embrace it with open arms. It's a culture so rooted in the heart of every African around the world and the constant burning desire to keep HOME close to heart. That belief in the American dream and love of culture came together when Tenuci was launched to serve Africans and all people of African descent in the Diaspora by one of our own. Clothes are mostly custom made in Africa to suite your individual style, fashion and taste. 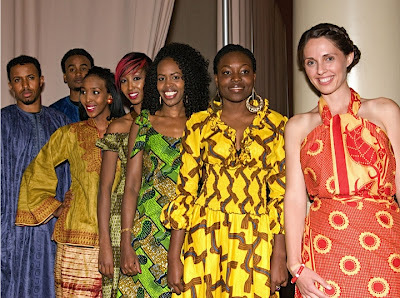 Clothing in Africa symbolizes a special occasion, your status in the community or to honor someone special or for special occasion. At Tenuci, we feature current African fabrics that are trending while maintaining those traditional unique fabrics that have been around for many generations. We are constantly in search of the latest designs of these African clothing fabrics at unbeatable prices. Why spend a fortune; Save a fortune. At Tenuci we do the work for you and take that hassle out of your life. We search around the globe to find the best African clothing fabrics from Africa to Asia to Europe and more. The best part of it all is that you shop for these unique fabrics without stepping out of your home. We don't just sell fabrics, we use our fabrics and website to tell a story. The story of millions of Africans and people of African descent spread around the globe. It's more than just a business for us. It's a celebration of our culture, our beauty, our pride. It's our passion. Others are now copying us and we are very proud of the work we have done in helping bring African fabrics to the attention of the world through our website. Thanks to you for helping make it all possible. It's oue American success story. Thank you for taking the time to visit and learn about Tenuci. We are here to serve you and we can't wait to take your order. We are the leader in online African clothing fabrics and some of our fabrics are hand made by the locals in some African countries and your purchase helps support their work. Share us with your friends and family and share the culture with the next generation. Join Tenuci and let's celebrate Africa! "The ache for home lives in all of us, the safe place where we can go as we are and not be questioned" Maya Angelou.